"Dear Mr. Steinway, I am very happy to have the opportunity of using your pianos for my concerts. I consider them to be perfect in every way. Faithfully yours, Sergei Rachmaninoff"
Did you know each Steinway piano comprises more than 12,000 parts? And that each piano also has its own musical character, as unique as the individual who plays it? 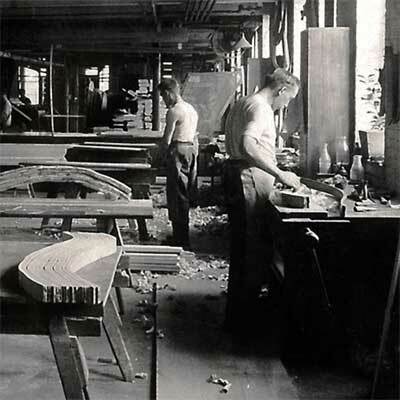 The keys of a Steinway are constructed of Bavarian spruce. The quarter-sawn maple action parts are mounted on a Steinway Metallic Action Frame, which consists of seamless brass tubes with rosette-shaped contours, force fitted with maple dowels and brass hangers to assure the stability of the regulation. A Steinway’s action mechanisms are crafted to respond to the most sensitive of touches and responds 13% more quickly than any other piano. Steinway & Sons was founded in 1853 by German immigrant Henry Engelhard Steinway in a Manhattan loft. The very first Steinway & Sons patent was granted in 1857 and over the next thirty years, Henry and his sons developed more than 120 additional patents, paving the way for what we know today as the modern piano. Ulrich Gerhartz is the Director Concert & Artists Services at Steinway & Sons, London. Every January, Ulrich travels from London to Melbourne to personally undertake the maintenance of the venue’s prized Steinway pianos, ensuring the condition of each piano remains flawless. He tells us more about his work, career and love for music below. When did you start working with Steinway & Sons and how did it inform your career? I started as a piano makers apprentice in the Steinway factory in Hamburg in September 1986. Doing the job I do, I can only work for this company. We love welcoming you to the Centre every January. How long have you personally worked with us at Melbourne Recital Centre? Are there any other organisations that are fortunate to benefit from your technical expertise? I have been coming to the Melbourne Recital Centre since before it opened its doors to set up, adjust, tune and voice the two Steinway model D concert grand pianos in the acoustics of Elisabeth Murdoch Hall and the smaller Steinway model C in the Salon. In London, my main responsibility is the selection, set up and ongoing maintenance of Steinway Concert grands across major UK concert venues as well as Steinway London’s own inventory of concert hire pianos. In addition to Melbourne Recital Centre, I look after Vancouver Recital Society at Vancouver Playhouse and Chan Centre, Spivey Hall in Atlanta, Jerusalem Music Centre on a regular basis and many venues worldwide when I travel with artists including András Schiff, Mitsuko Uchida and Murray Perahia. The parts that comprise a Steinway piano are intricately beautiful. Tell us more about the process of servicing a Steinway piano? A piano has more parts than a car, many of them moving parts that wear with use. During a service all of these parts are cleaned, checked, re-adjusted and mechanically and tonally ‘fine-tuned‘. Steinway says “Without the artist, a Steinway piano is silent. But together, the artist and piano create music”. Does music play a part in your personal life? I have always loved crafts and music and used to attempt to build guitars and play by ear when at school. I don‘t play the piano as such, but my even finger work which is crucial for successful equal and balanced voicing of a piano is often admired. The playing of the finished article I leave to the artists. Do you have a favourite piece of music or composer? For me, there is always Bach. When you visited Melbourne Recital Centre for the first time in 2009, what were your thoughts when you walked into Elisabeth Murdoch Hall? Melbourne is very lucky to have the Elisabeth Murdoch Hall. It is a perfect size, has a wonderfully warm ambience and superb acoustics, suitable for anything from early music, voice, solo piano and chamber music to orchestra, as well as jazz and modern music. I loved the colour and texture of the wood when I first set foot on the stage and the warm intimate feel it provides to performer and audience alike. And how do you feel about the performance of music in Australia and the broader arts landscape? I have been living in London since 1990 and have met many Australian pianists like Piers Lane over the years. A lot of them have become friends and the little I know about the classical music landscape in Australia I know through them. It was wonderful in to be asked by the team at Melbourne Recital Centre to visit Australia for the first time in 2009 and return every year since. 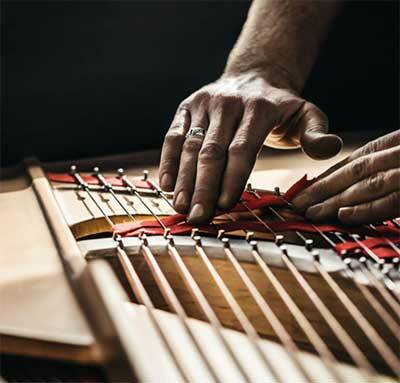 Steinway has revolutionised the constructs and quality of the piano throughout it’s long history. How do you see Steinway & Sons’ future evolving? Steinway & Sons’ biggest challenge has always been to continue making the best possible piano in a changing world and for a changing market. As long as we make a piano which artists chose to play and get inspired by, our future is secure. Did you know there are different versions of Bruckner’s Fourth Symphony? An in-depth exploration of Mozart’s Violin Concerto No.5 in A, K.219.